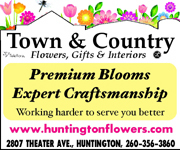 John S. McKinzie, 58, of Huntington, IN, died Monday, April 23, 2018, at 4:41 p.m. at his residence. 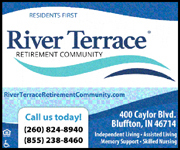 Mr. McKinzie was a 1979 graduate of Huntington North High School. He had worked at Zollner Piston for several years as well as Zimmer Bio-Met. He was a member of the Goat Eaters Club. He was born Nov. 27, 1959, in Huntington to Allen and Joan Crooks McKinzie. He married Cynthia Lahr on June 21, 1986, in Huntington, and she survives. 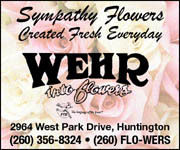 Additional survivors include a daughter, Wendy (Christa) Becovitz-McKinzie, of Indianapolis; a son, Ian (Christa) McKinzie, of Huntington; a stepson, Lucas Kern, of Warren; two brothers, Bill McKinzie of Huntington, and Riki McKinzie, of Wisconsin; a sister, Valli McKinzie, of Huntington, and three grandchildren, Kamden McKinzie, Ellie McKinzie and Arabella Becovitz-McKinzie. A gathering of family and friends will be Saturday, May 12, 2018, from 2 p.m. to 4 p.m. at Myers Funeral Home Huntington Chapel, 2901 Guilford St., Huntington. 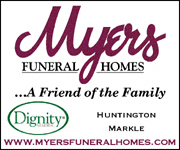 Memorials are to the donor’s choice of charity in care of Myers Funeral Home, 2901 Guilford St., Huntington, IN 46750.